On the last day of the Tibetan year prayers are offered to the wrathful Dharma protector called Mahakala 'the Great Black One'. This is traditionally an all day sadhana སྒྲུབ་ཐབས practice to clear away obstacles of the old year to clear the way for a peace and progress in the Dharma. 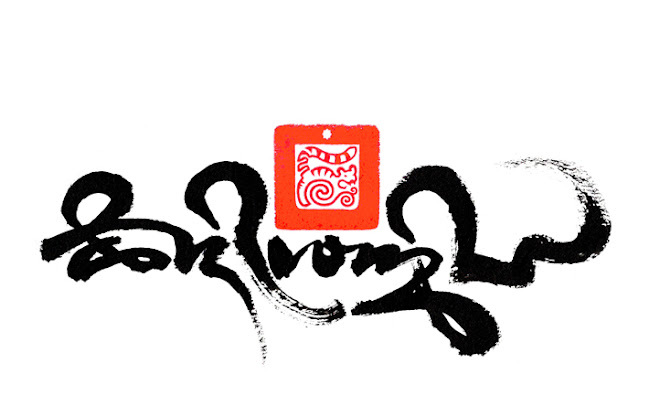 It is a cathartic and effective way to let go of negativity and purify body speech and mind of the new year ahead. The yearly Mahakala practice culminates with a ceremonial 'cham' dance to symbolically chase out and repel the demons of the old year, called the black hat dance. The main character of the dance is usually performed by a high Lama who is particularly attained in the visualization of the sadhana, who's role is given the title dorje lopon. 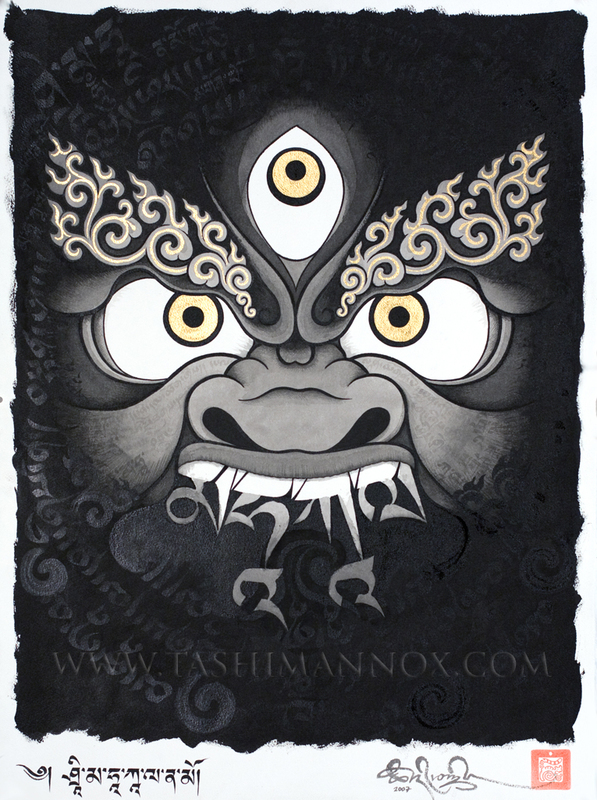 The Mahakala dance has its origins from a time in historical Tibet when an anti-Dharma King was shot with an arrow from a bow concealed in the long pointed sleeves of the gown worn by the dancers of his court. 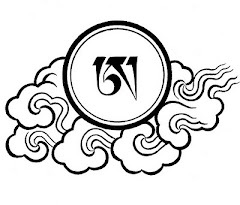 This has since become symbolic of the victory over the inner and outer obstacles one may encounter on a spiritual path. 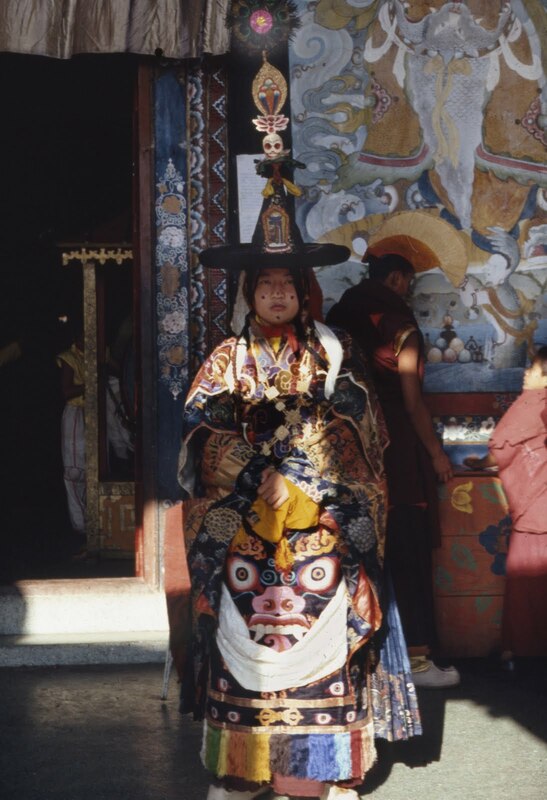 A similar costume is worn today together with an apron depicting the face of Mahakala, the protector of the Dharma. monastery in Sikkim. Photography by Peter Mannox. With the dust of the old year symbolically clean away, it is traditional for a more practical spring clean of the household in Tibet, which with the celebrations of the new year 'losar' and on this day only, the servants of the house would be allowed to swop cloths and roles with the masters, in a party atmosphere of joy and a refreshing shake-up of conformity. 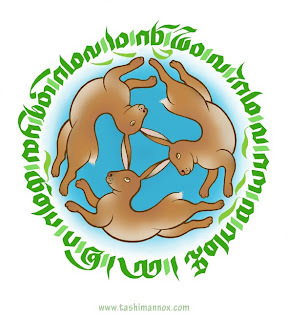 The Tibetan New Year of 2011 bounds in with the Female Iron Hare or Rabbit, which is said to be a particularly joyful and prosperous year ahead. 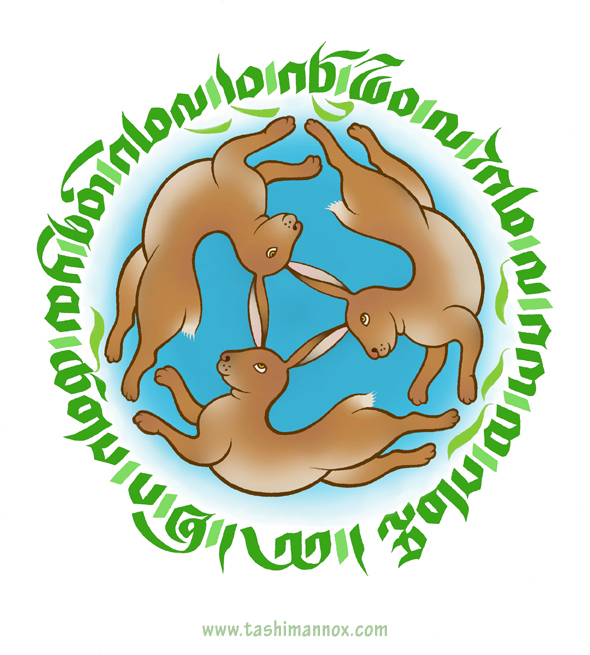 The Shang Shung Institute logo. 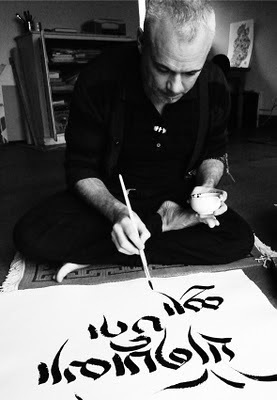 The 'Shang Shung' London Institute of Tibetan Studies presents a weekend workshop of Tibetan calligraphy, lead by Tashi Mannox on 25-26th June 2011. 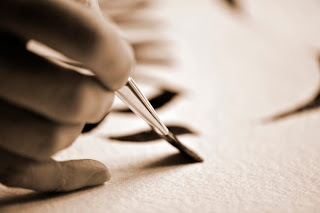 For more details, to book and to partake in the workshop please follow the link here.